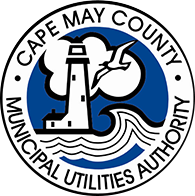 In 1972, the Cape May County Municipal Utilities Authority (CMCMUA or Authority) was created by the Cape May County Board of Chosen Freeholders. The CMCMUA, and its appointed Board of Commissioners, was entrusted with the task of designing, constructing, and operating, efficient and cost effective wastewater treatment facilities to respond to the passage of the 1972 Amendment to the Federal Water Pollution Control Act, commonly referred to as the Clean Water Act. This Amendment mandated the abatement of pollution of the nation’s water resources. These new regional treatment facilities would replace numerous outdated municipal treatment plants which discharged effluent into back bay areas and contributed to the degradation of estuaries and the marine environment. The prompt response of both the Cape May County Board of Chosen Freeholders and the Authority to this federal mandate resulted in the CMCMUA securing more than $183 million in state and federal grants to pay for the design and construction costs of the new regional wastewater treatment projects constructed by the Authority. The construction phase for the four (4) regional systems, which include Ocean City, Cape May, Seven Mile Beach-Middle and Wildwood Lower, began in 1979 with the first facility completed in 1982 and the fourth facility completed in 1988. The CMCMUA Wastewater Management Program also includes a facility to manage sewage sludge. The Sludge Composting Facility began operating in 1985 and altered operations to become a Sludge Transfer Facility after a catastrophic fire in 2016. With the implementation of the CMCMUA Regional Wastewater Management Program, the water quality of back bay areas significantly improved. The Program has been expanded and maintained by the CMCMUA as needed to serve the residents, businesses and visitors in our area. This Program has resulted in significantly cleaner back bay and ocean waters resulting in water that is swimmable, fishable and essential for marine habitats and our tourism economy to thrive. Last Modified May 11, 2017, 4:24 p.m.